This was a tough one. I liked the posture of the woman. The child was active and he mostly orbited the woman. When he alit, his body was obscured, except for his lower half. As a photographer, I often took shots that did not work in terms of design. In other words, the photo did not convey the message I intended. This is the case with today’s sketch. The observer must expend effort to apprehend the idea of woman and child. 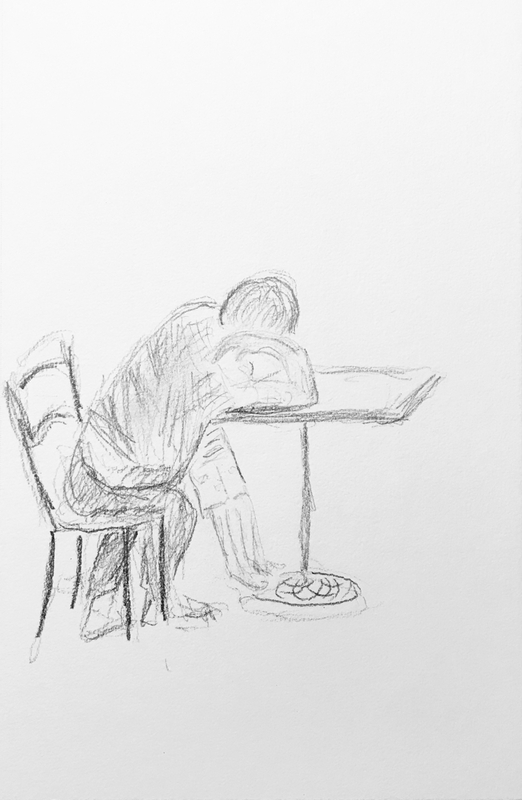 This entry was posted in Personal Stories and tagged art, artistic process, creativity, design elements, drawing, drawing design, graphic design, pencil sketch, photography, visual art. Bookmark the permalink.